Dr. George Delgado is the medical director of Abortion Pill Reversal (APR) and of Culture of Life Family Health Care. Dr. Delgado published the first peer-reviewed article in the medical literature describing the reversal of mifepristone (RU 486) using progesterone. He then established Abortion Pill Reversal, a program that connects women who have changed their minds after taking mifepristone (RU 486) and want to reverse the effects of the abortion pill. APR also seeks to refine and improve the treatment protocols for reversing mifepristone. Dr. Delgado received his medical degree from the University of California, Davis and completed his residency at Santa Monica Hospital/UCLA. He is board certified in family medicine and in hospice and palliative medicine. 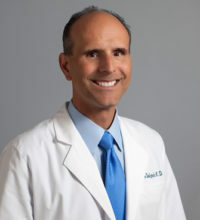 Dr. Delgado is an NFP Medical Consultant trained in NaProTechnology. He completed the one-year Certification Program in Health Care Ethics with the National Catholic Bioethics Center. Dr. Delgado is a Voluntary Associate Clinical Professor at the UCSD School of Medicine. He is an experienced, popular speaker who has made hundreds of presentations to a wide variety of audiences including pro-life fund raisers. His topics include APR, abortion, euthanasia, stem cell research, cloning, personhood, other bioethical issues, NaProTECHNOLOGY and natural family planning. Dr. Delgado is a regular guest on Catholic Answers Live, the most widely heard show on Catholic radio. He and his wife Liz were selected to receive the St. Gianna Molla Pro-Life Award at the 2017 Walk for Life West Coast. Dr. Delgado and his wife Liz have four children and one grandchild. On Thursday, February 9, 2017, the Colorado House Health, Insurance and Environment Committee held a hearing regarding House Bill 1086 (HB 1086), the Abortion Pill Reversal Information Act. HB 1086 provides that prior to initiating a chemical abortion, a physician must alert the woman to the fact that it may be possible to reverse the abortion should she change her mind and that information on the possibility of reversal is available in state-prepared materials.